The philosophy at Laneway Greens is simple: serve food that uses quality local produce – ethically and sustainably sourced – and make it accessible to a wide community. 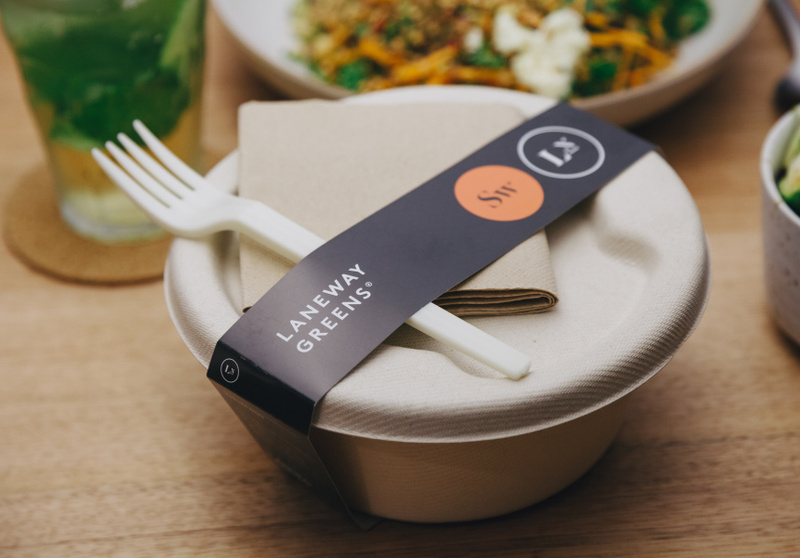 The first Laneway Greens opened in 2015 on Flinders Lane and seats just 12 people. This second diner on Swan Street in Richmond seats 60 people – a sizeable upgrade. In the morning grab a breakfast bowl of almond granola with biodynamic Mungalli Creek Yoghurt or a kale and kiwi smoothie. 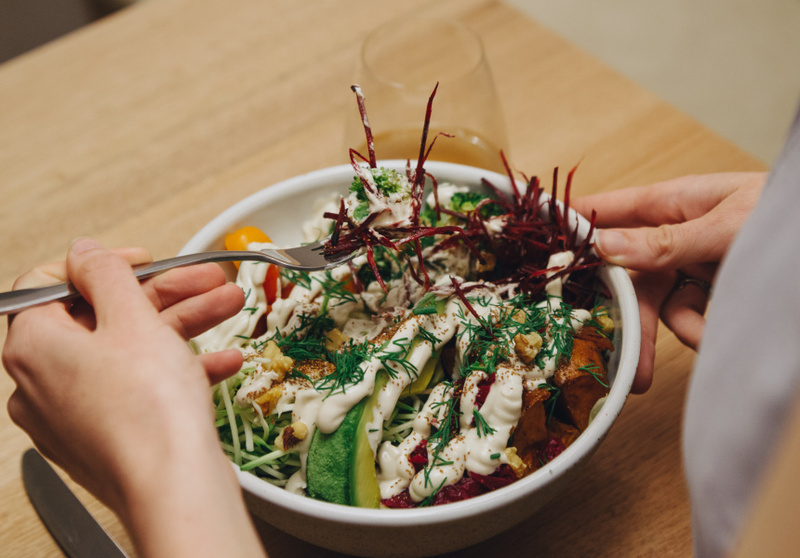 For lunch and dinner most bowls are vegetarian or gluten-free, and you can add proteins such as Cape Grim grass-fed beef, poached free-range chicken and Ōra King roasted salmon. 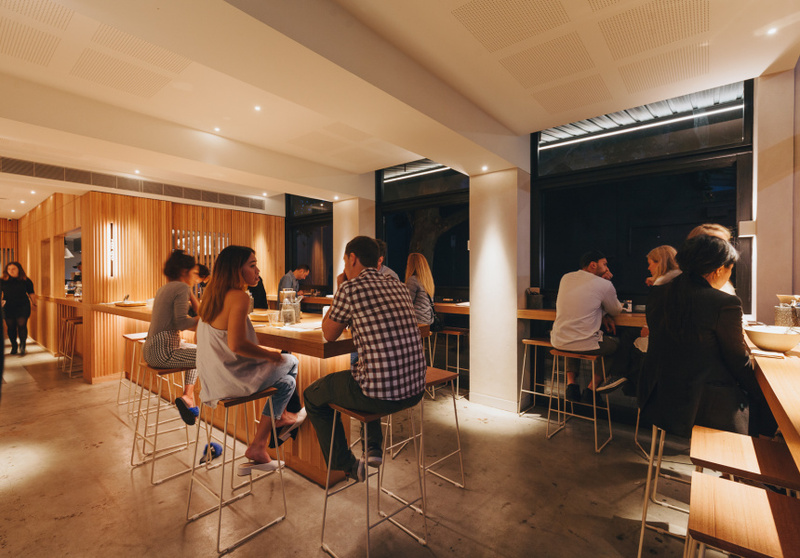 A short all-natural wine list of a single red, white and rosé is available alongside three beers: Garage Project Pilsner, Mount Peninsula Lager and Balter XPA. Liberty Kombucha, from Victoria, is also on tap. Coffee is single-origin batch brew from Industry Beans. This location is kegging natural, unfiltered and sulphate-free wine and selling it for $9 a glass. The kegs are fully biodegradable and avoid the need for excess waste in the form of bottles. Modl Studio is responsible for the minimal, Japanese-feeling fit-out, which features lots of Tasmanian oak. It’s a polished space, but it’s warm – ideal for a quick and quiet weeknight meal. This is fast food, but there’s no menu board here. Instead, grab one of the fold-out menus from the communal table in the centre of the room. Inside you’ll find information on Laneway’s suppliers, including Hand ‘n’ Hoe Organics, Slater Farms and Hunted + Gathered.